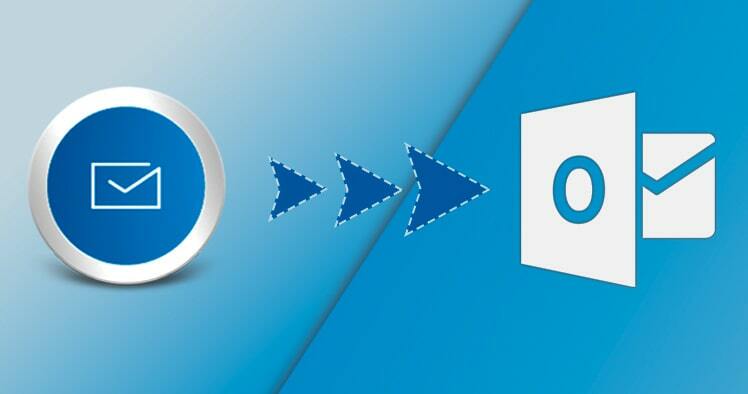 Home » GroupWise » What are the benefits to convert GroupWise to Outlook? Novell GroupWise is a leading email management and communication system that is used worldwide. It helps organizations in the management and organization of emails, calendars, tasks, profiles, contacts, and many other official tasks. It has been around for a long time and many companies vouch for it. However, MS Outlook is proving to be another popular choice among users because of its endless benefits over using the GroupWise application. Today you will find out the benefits of converting GroupWise to Outlook. Why do users convert GroupWise to Outlook? It is important to understand that people generally avoid any form of important data transfer. This is because there are always risks involved while dealing with classified data. However, when the benefits outweigh the risk, users decide to take the leap. GroupWise is not accessible from just any computer. These are the problems that GroupWise users have to face and it is due to these shortcomings people migrate to Outlook. Let us now look at the real benefits to convert GroupWise to Outlook by looking at advantages of Outlook. Overall, it gives better performance and results. It is to avail these benefits that users convert GroupWise to Outlook. So now that we know what the benefits to convert GroupWise to Outlook are, let us find out how to convert GroupWise to Outlook. There are two methods to convert GroupWise to Outlook. The first method is the old manual one. The more modern method is using third party tools which are created to transfer data automatically. Let us go through both the methods one by one. Click on “Save” to save the chosen items. Your converted emails will be saved to a location where you want. Though, this process will consume a lot of time depending on the size of the database. The box which says “Save” will close when the conversion is over. You can later import these HTML files in your Outlook application. So this is how you manually export GroupWise files to Outlook. However, it is absolutely crucial to know the limitations of converting your emails with a manual method. Now, we will find out the best method to convert GroupWise to Outlook safely. Third party tools are proven to be the fastest and safest method for GroupWise to Outlook email conversion. The Shoviv GroupWise to Outlook converter is a professional tool that is created to safeguard the whole process of GroupWise to Outlook conversion for all users. It protects your GroupWise email files and ensures that not even a single file is lost or modified. This GroupWise to Outlook PST converter is the ideal choice if you are looking for fast, safe and accurate results. So why not try it for free? The free demo of this tool lets you export 25 files for each folder for a limited time. Once you are sure that it works for you, you can easily upgrade and get added benefits like free updates for life. To get the free demo right now, click here.